Pledge $75 to receive my premium and to be in the running for the Grand Prize: This Heat - This Heat LP / This Heat - Health and Efficiency EP , vinyl gatefolds signed by Charles Hayward and Charles Bullen. Nick, Did you just say what I think you said? Hello rw - not sure what i said or you think said? 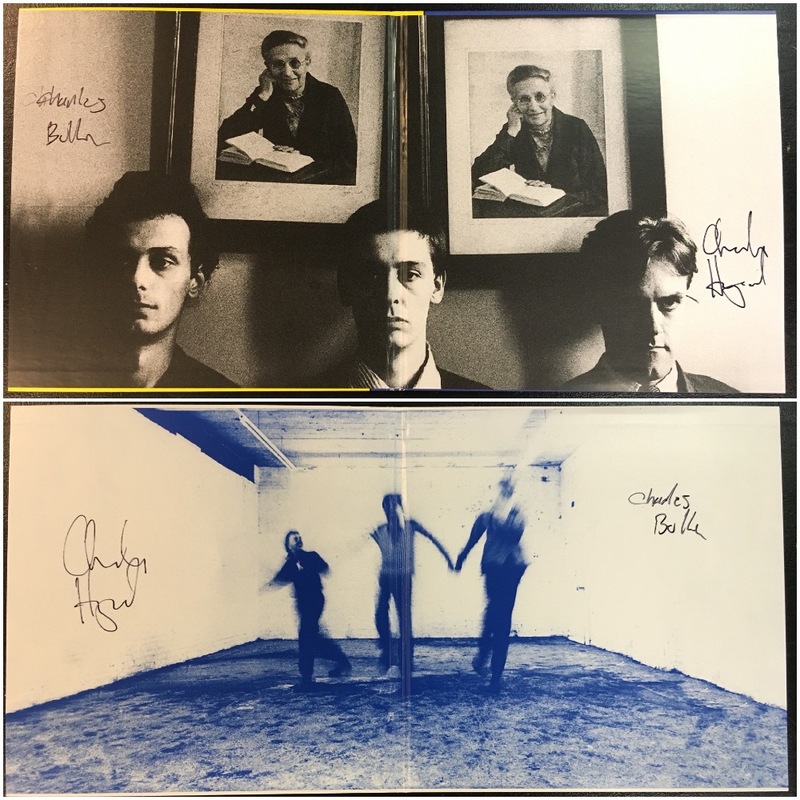 75 dollars gets you into the grand prize drawing: This Heats self titled album AND the Health and Efficiency LPs, vinyl gatefolds signed by Charles Hayward and Charles Bullen. Ha! I probably mis-heard. I won't repeat what I thought it was for everybody's sake! Another show on fire taming by Nick Name! Well done, Sir! 20 bucks gets you in the running for the CP Unit CD and the luxurious High Rise II LP. Please pledge! Hey Alejandrool, Likewise, man! Hope you're doing well this evening. hey folks, welcome to the whimsies! So fantastic to hear Bill Mac tonight as well!! Also, DAMNNNNN, the prizes offered up on this show are top notch!!! Has me so close to upping my swag for life beyond the $500 mark, and I can barely even justify *that* in my current income state of affairs. Haha. Wow. Thanks guys!! So happy to support the station. Next prize up is the Conrad Schnitzler & Schneider TM Construct LP & CD. 20 dollars puts you in the running to snag this beauty!!!! Ahhhhhhhh, The Chills! Sheer beauty! 20 dollars gets you you in the running for Chills Kaleidoscope World double LP and the Risc Fullblast CD. Come & get it!!!! what instrument is this a blowin? Thanks CC! I didn't think anyone came close to us as far as archival material. Since when? 2000? Peter Brötzmann on sax. Aces! maybe tenor though, played as low as it gets? there's "noise and syrup" (Jeff Mullen, not on the schedule now,unfortunately) that's sorta like boiling sap! @AWC If there wasn't one, there should be. It should be a theme show, but I don't know what the theme should be. @CC Yeah Jeff does a dang compelling show when he gets out..
Only 75 dollars gets you into the grand prize drawing: This Heats self titled album AND the Health and Efficiency LPs, vinyl gatefolds signed by Charles Hayward and Charles Bullen. Two folks in the running for this, so your chances to get this is pretty good. When I think of Noise and Syrup I think of the time I fell asleep on the couch and kept drifting in and out to the hum of the Syrup! Need to check out now. Good luck with the remainder of the show. Thanks again as always Nick! And thanks to you too Mr. Mac! Later everyone! Later rw, thanks for coming by! Hi coelacanth∅ / Adam West Coaster / MUWFinMA / DouglasInDallas / ausmanx / j - thx all for your support - much appreciated! money's a little tight, but your on my swag4life, nn. otherwise i'd pledge a little more for the nick name/stan bridge - love it! This is why I love Thursday night: Nick/Stan is the best . can I make a separate pledge that counts toward my SW4L? I believe if you mention it on the ticket it's added to your other pledges.